22 August 2014: Let it Go! I got sick on Tuesday – I have a shot I took in the morning but frankly, I look ill. Then I slept Wednesday and was out of it on Thursday and totally forgot to take a picture. So we’ll just skip those days. I can’t even remember what I wore on Thursday. Pink, maybe? Sandals? Whatevs. We’re moving on. To today, the most humid day we’ve had possibly all summer long. So why wouldn’t I wear snowflakes? 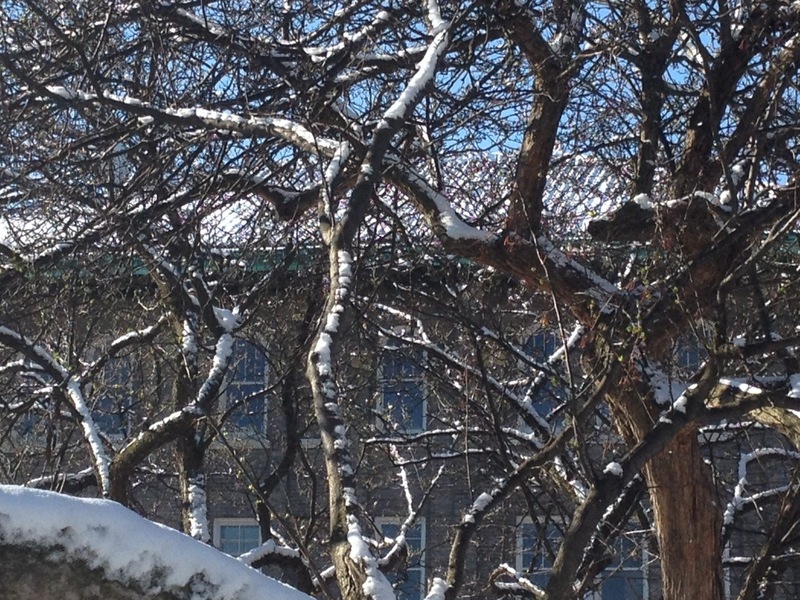 Today we hosted a Frozen singalong at the Library – you guys, it was adorable. We were worried about getting too many kids, and we did, and we had a overflow plan in place and we chose not to use it. OOPS. Lesson learned. But we had about 180, 190 kids and parents and grandparents there and it was so noisy because kids kept talking but the moment songs started, they belted them out. I loved how many dads and grandfathers were singing Let it Go, their voices really stood out in that song. I’d been nervous, but the moment Do You Wanna Build a Snowman? and they all burst into song, I knew it was going to be great. And I’ve been singing Love is an Open Door for the last 5 hours. 10/ A frog optical illusion on our desk – thanks to mirrors, it projects an image of itself through the hole. A patron commented that this was just another thing that would have gotten us prosecuted as witches. 12/The best peach custard in the whole world. 14/Crazy roofed house. This place was amazing – fruit bearing trees, vintage swings, hidden gardens and lovely art deco fencing. 15/Lemon Meringue Pie Muffin for Lemon Meringue Pie day. OMG AMAZING. 16/Playing fetch with my Bingo Baby! 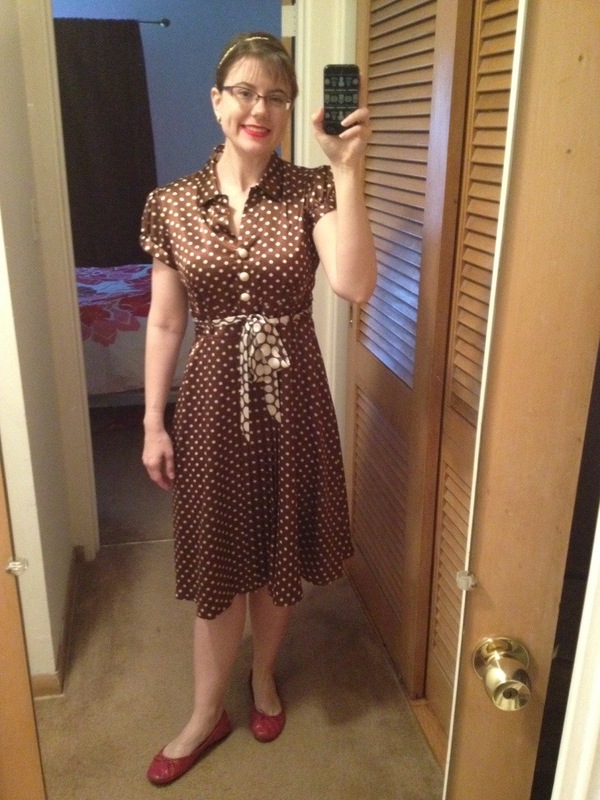 I knew I was going retro yesterday as I got dressed. 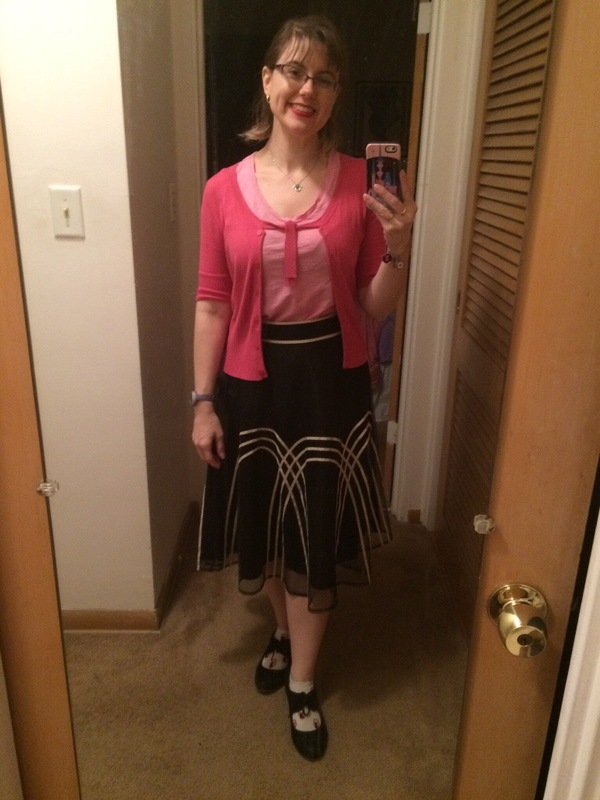 I consciously felt 1950s. I added the red cardigan because I was inspired by lovely clear red flowers the day before and thought the colors would go well together. 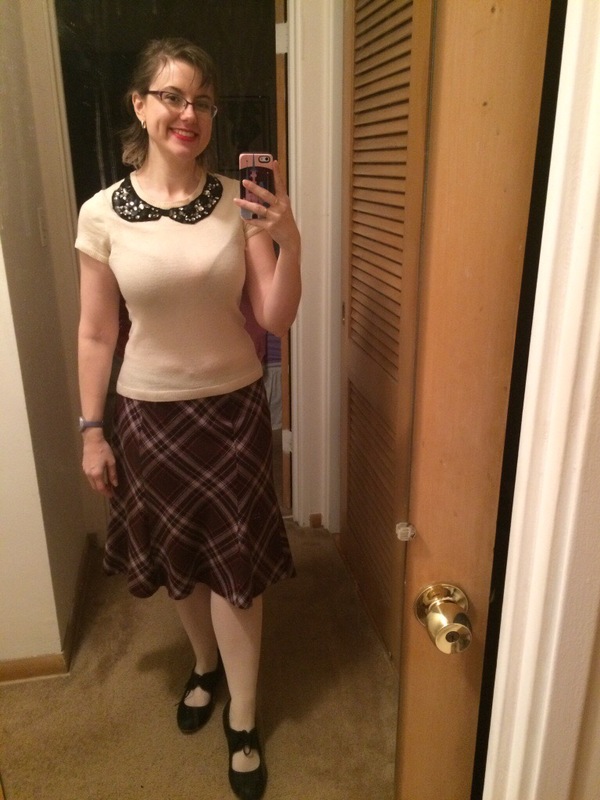 I was halfway to work before I realized that I’d dressed myself like a 1950s midwife and that’s why I thought the colors would look good together. But hey, better shoes, right? 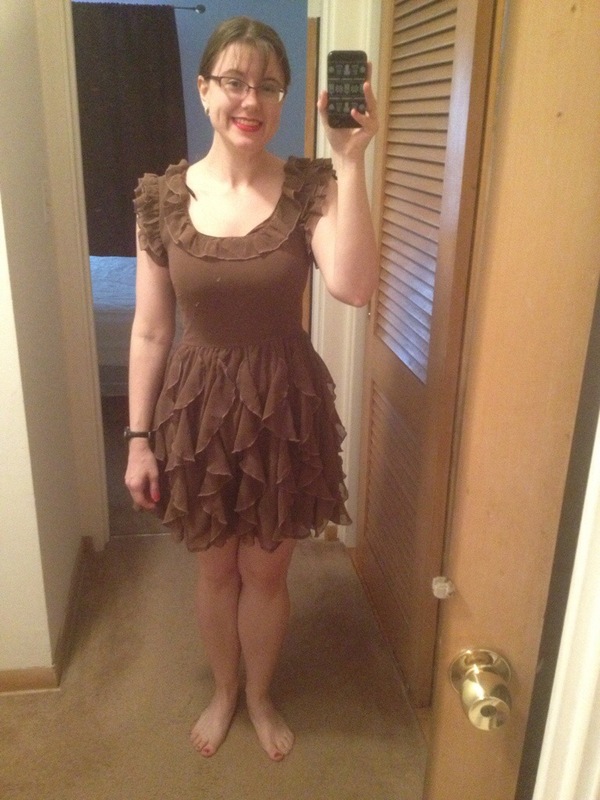 I had a patron come up because she loved the dress and wanted to know where I got it – I had to admit, Walmart.com. She looked crushed, but rallied – this year? Nope. Many years back. She went away sad, ha. 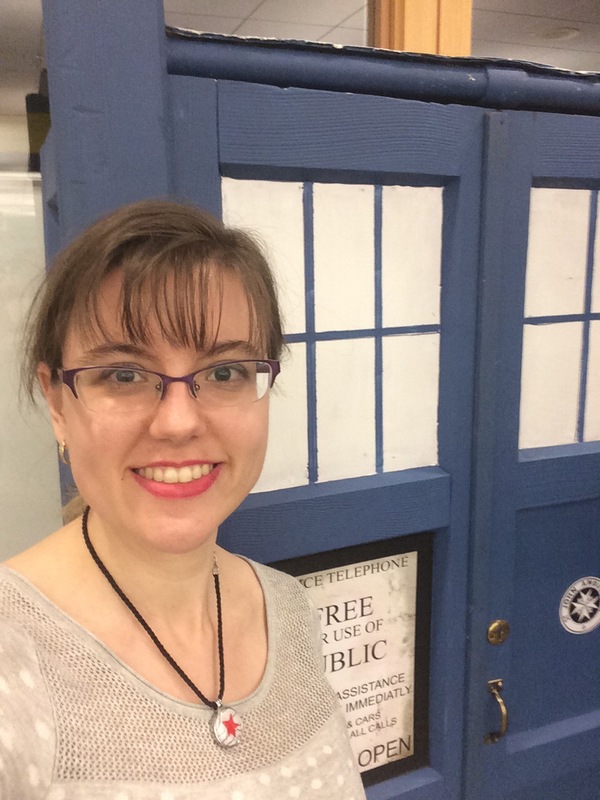 Yesterday a coworker and I drove around the northern part of our state, visiting libraries and getting ideas for tech storytimes and summer reading. We hit three libraries, 5 departments and it was quite fun and educational. 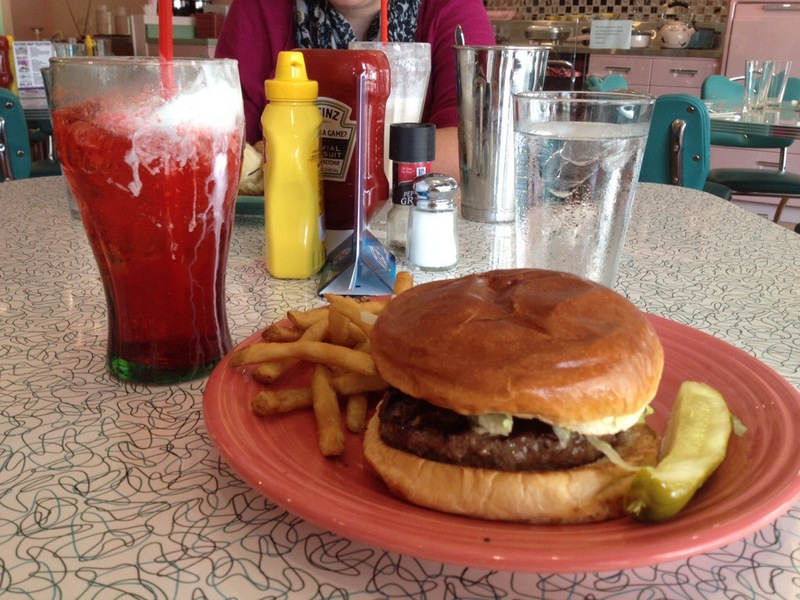 And we had lunch in the 1957. 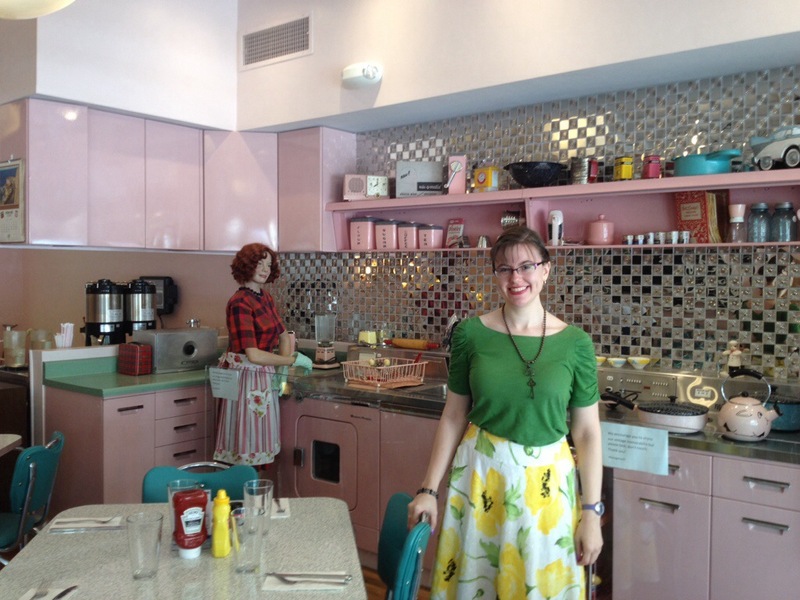 Check out this diner! 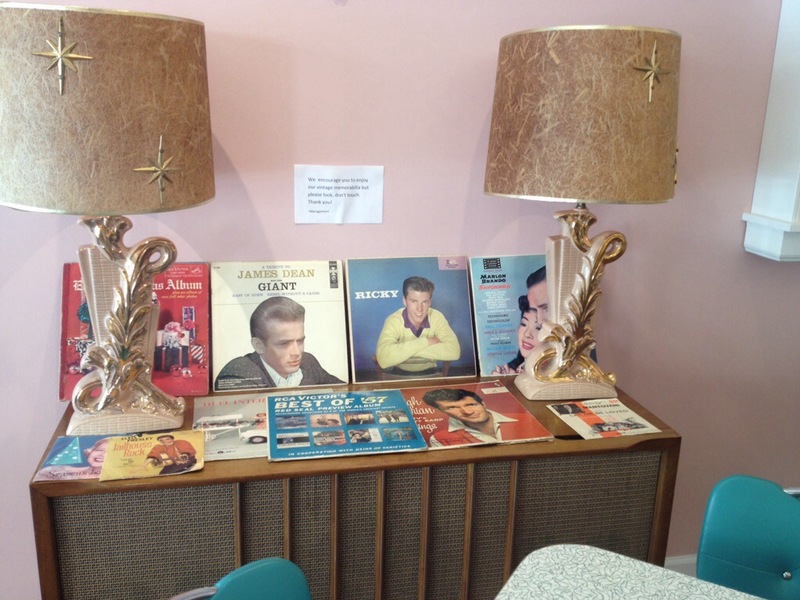 We were in the kitchen/dining room; there was also the blue booth room and a 50s bar room. The food was delicious and the decor so freaking cute. 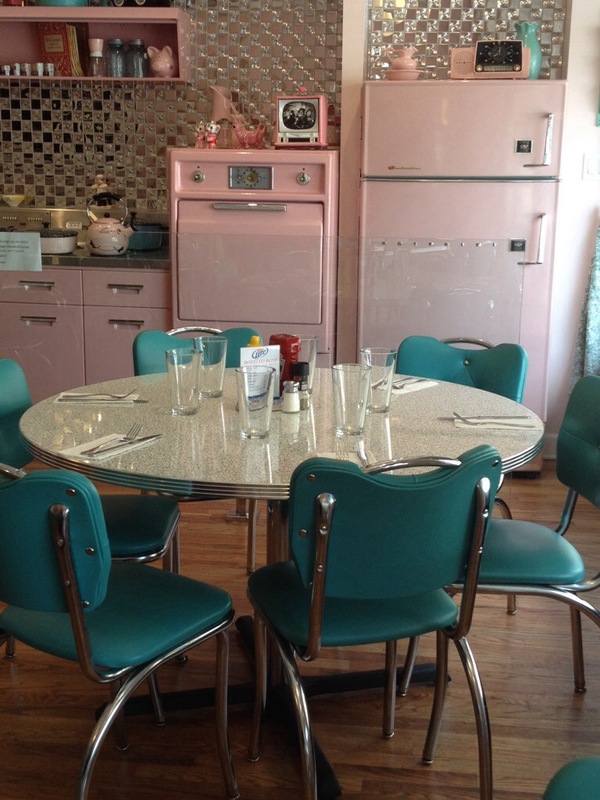 Am I wrong for unironically wanting a pink kitchen like this? 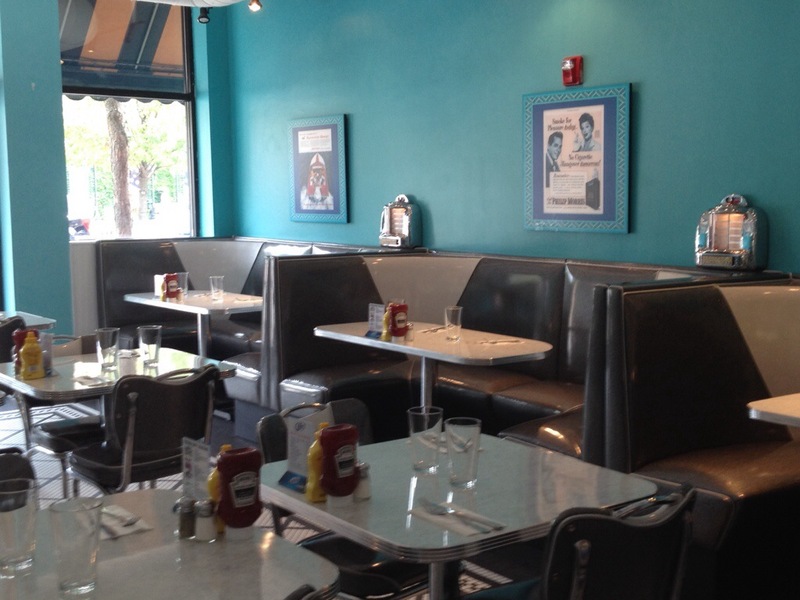 Or at least the blue dining sets? I loved it. When I was getting dressed yesterday, I asked myself if I wanted long sleeves. Because we’d be lucky to hit 70. I loved this taste of autumn. Yep, we have multiple SRP shirts this year – this is the tween option. 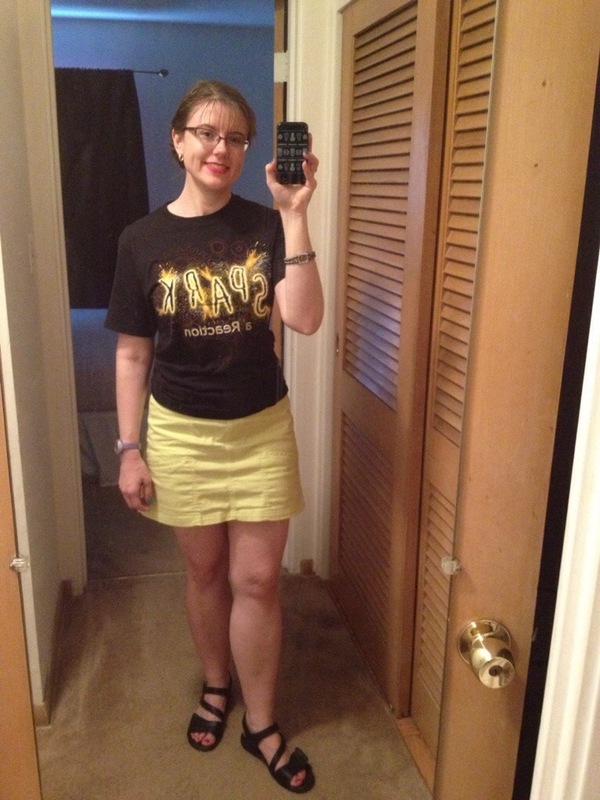 I figured it was about time I wore the other one.Was it weird to match the yellow sparks to my skirt? 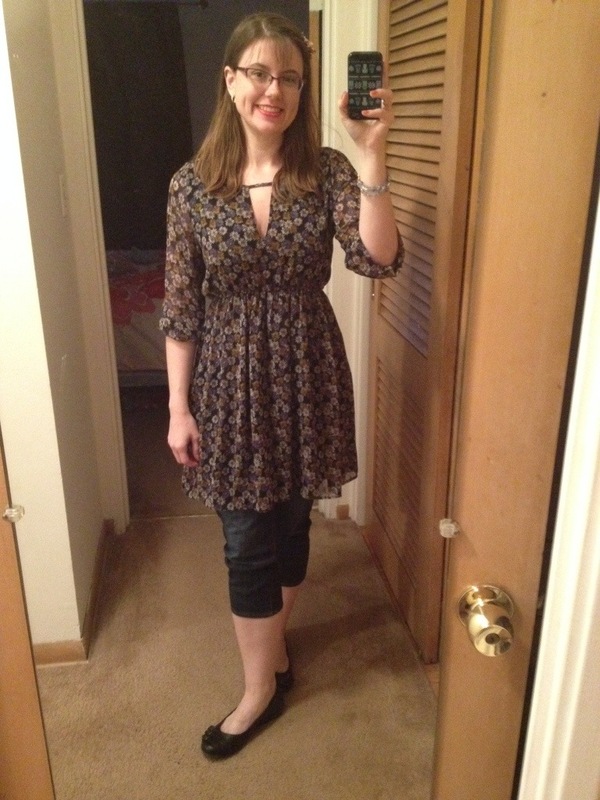 I dithered a lot, but my denim skirt just felt blah. 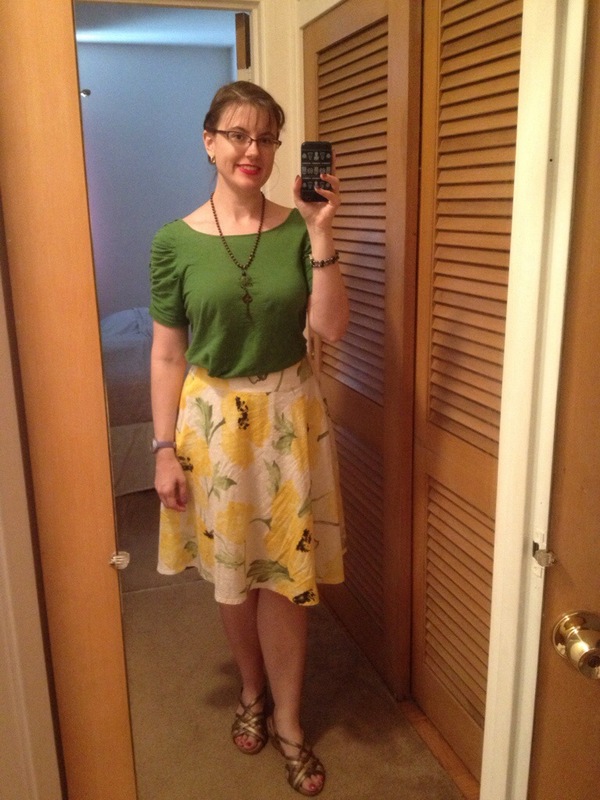 I love the cut and fit of this skirt, and it makes me excited to wear it as Snow White to Disney this fall. To build up our mojo for the last 3 weeks, my department took a two hour break around lunchtime to hang together, eat popcorn and candy and watch Indiana Jones and the Last Crusade. It was a lot of fun. Except that I ate Dots and popcorn for lunch and half of dinner. I was so cold walking to work! A cardigan didn’t really cut it. I loved it, though. I took a 1.66 mile walk at lunch and then read in the park for awhile, and then took a 1.33 mile walk home through another park and it felt great. It’s funny – for a long time after I got this cardigan, it was so bright that I had a hard time wearing it. (My coworker’s comment about blinding him didn’t help, I suspect.) But now I don’t bat an eye, ha. I love how it and the tank hit on these capris, too. Perfect retro-y lines. This is one of those outfits I hope my mother doesn’t find. I was pushed for time and the skirt I planned to wear didn’t work with this top and then I remembered the shorts I got last year and figured that if our male parttimers could wear denim and khaki shorts to work, I could rock some tap pants. And then I added heels. Apparently my hair stays up when twisted and not just braided! Things you learn when running 5 minutes late and just needing it to do something. And apparently on Friday, I felt like continuing the dancer trend. I don’t know. Okay. These shoes. 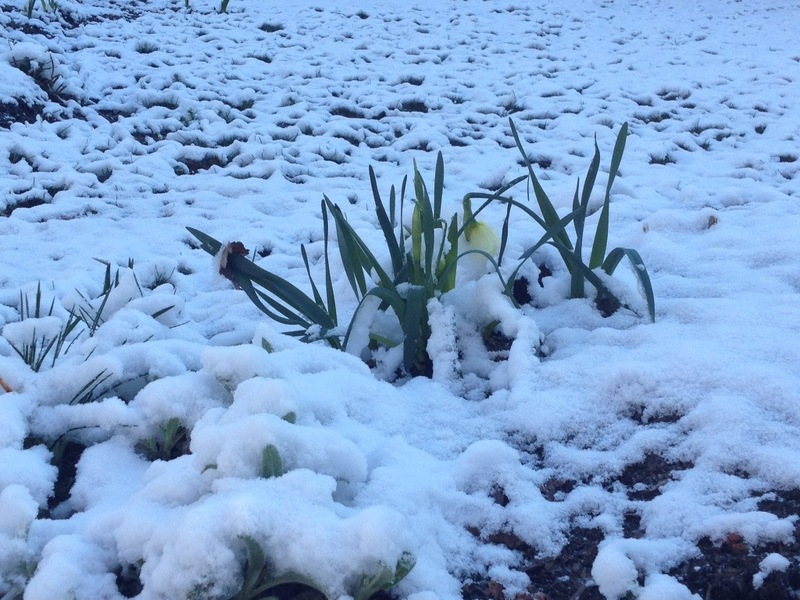 I declared it Summer of the Navy Ked awhile back – end of May, maybe? Certainly before The Fault in Our Stars came out. Let’s just get that fact down. I had declared it Summer of the Ked early. 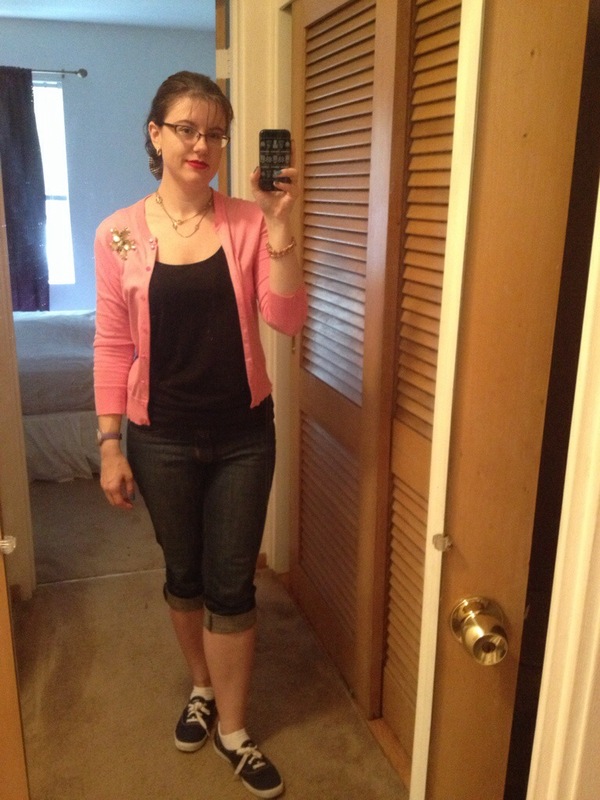 Because I saw TFIOS opening weekend and damn it all if Hazel Grace Lancaster didn’t spend 90% of the movie in navy Keds. But I did it first, I swear. It’s documented! This happened with my first pair of Converse, too. I got the cutest pair of pink high top Converse in the spring, and then a few weeks later Hilary Duff came out with A Cinderella Story and there she was in all of the promo posters wearing MY shoes. Clearly I am very good at predicting things. I just wish those things weren’t so visibly teen movies. It was annoying when I was 23 (I didn’t wear them much after those posters, damn it) and head shakey now that it’s ten years later. SIGH. Today is the 70th anniversary of the D-Day invasion. I’ve been facebooking links to info, articles, archives and news broadcasts all day, ha. So it’s no surprise what I dug out of my closet to wear. 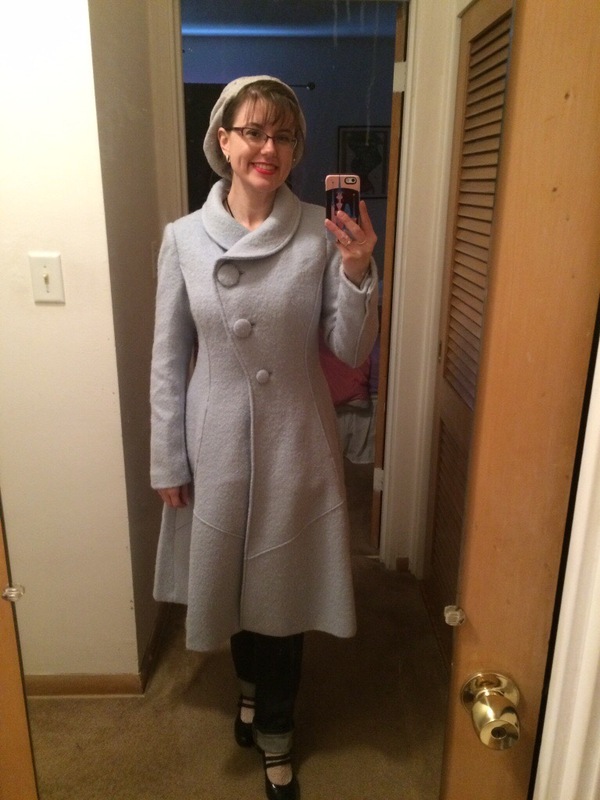 The skirt is part of a skirt suit – the top is the same fabric, as is the belt, but it’s much too big now. And, also, obviously it looks quite costumey to wear them together! 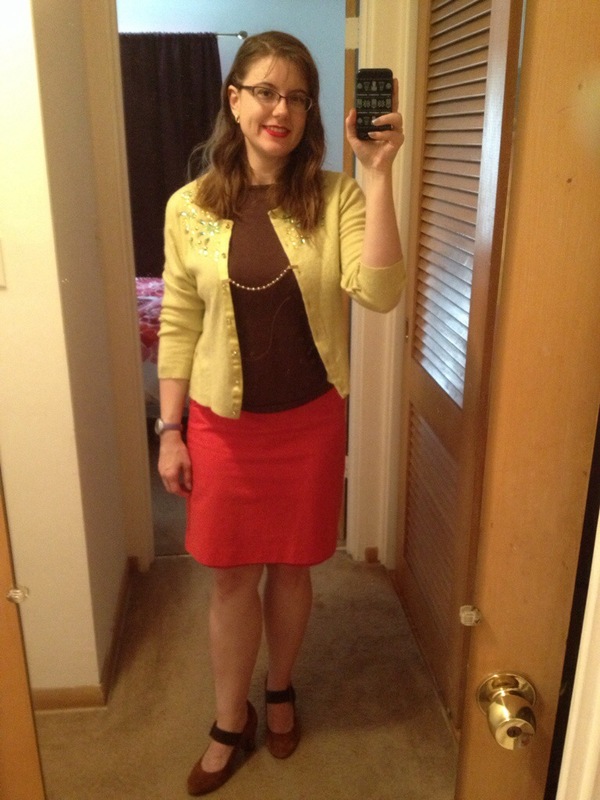 The skirt is too big, too – I safety pinned it to a slip to keep it up safely, ha. 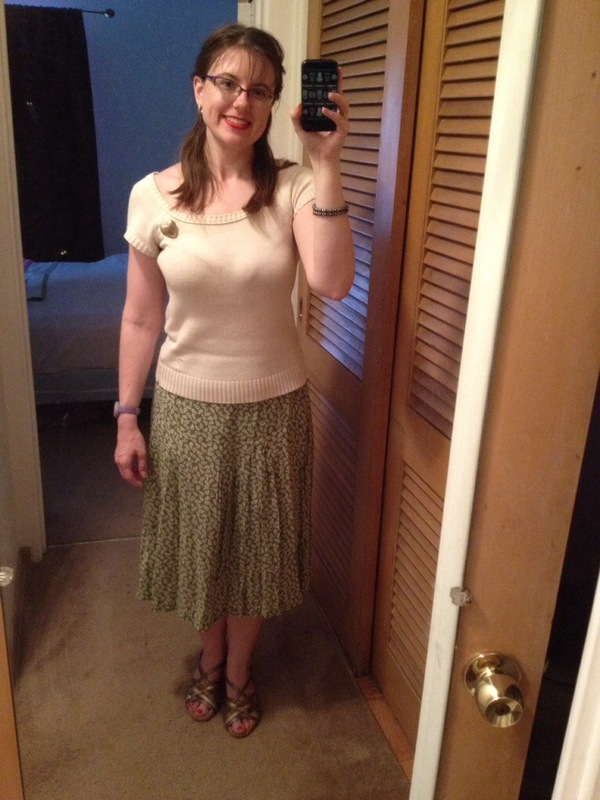 But I love the drape and length….most of my midi skirts are stiffer and have a shape, and I love this hang much better. 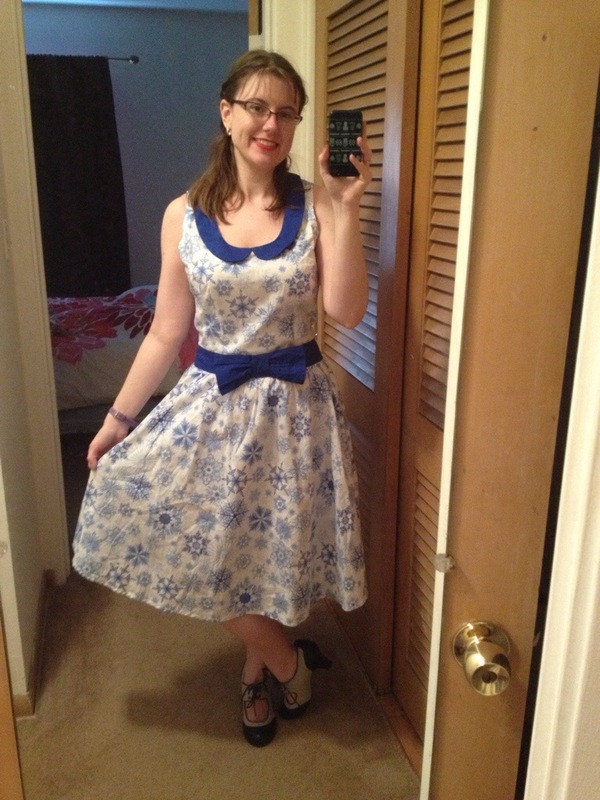 I got this in college at an amazing little vintage store (where I also found this 50s party dress) and I think I’ve only worn it once or twice, for American Girl parties at work, but maybe I can bring the skirt out again. Not too often, through…it is 70 years old! I realized after my last post that having Kurt and Blaine sing Let It Snow in my sidebar probably wasn’t helping matters. It’s now updated to a cover of Nonono’s Pumpin’ Blood, which I am using as my getting ready for summer mojo building theme song this year. 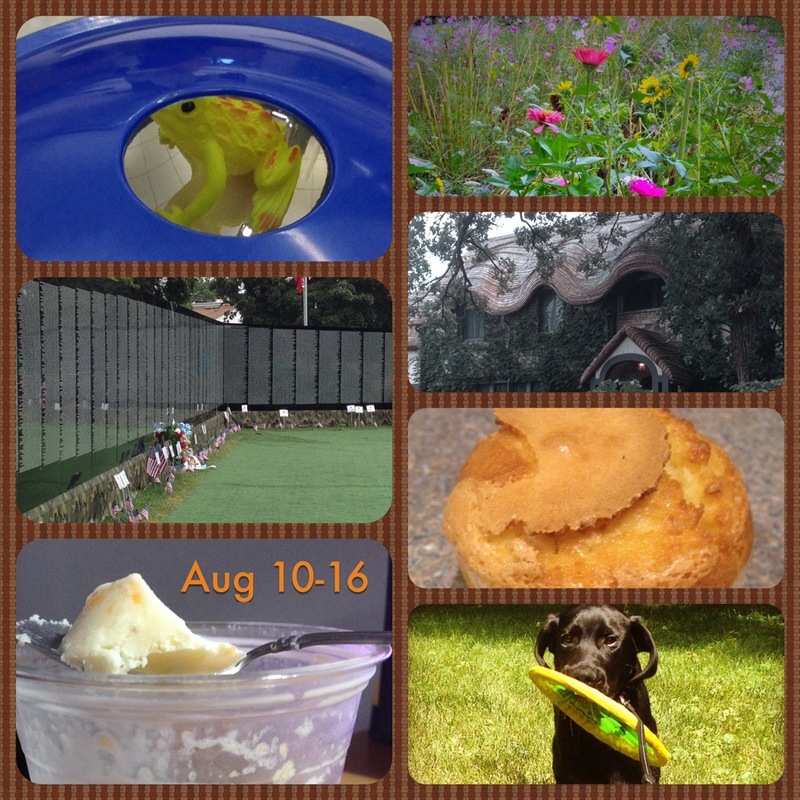 I also added some Flickr integration, though that may change. 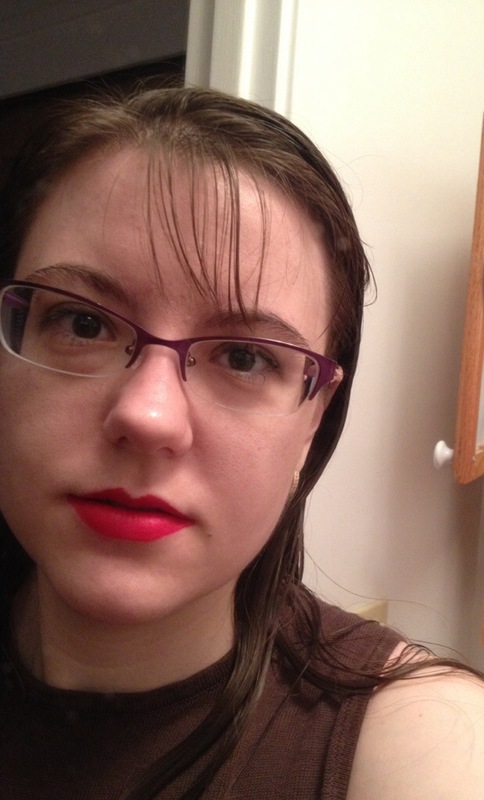 Anyway, I’m feeling pretty retro again lately. I spent the weekend rereading The Cheerleader, by Ruth Doan MacDougall, which is a beloved favorite of mine about being a teenager in 1955. 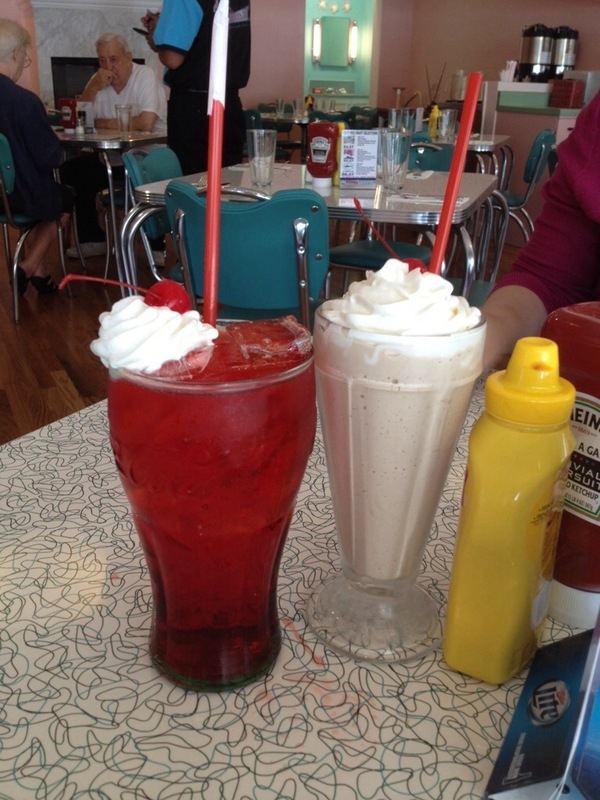 It’s not sentimental or stereotypic – more Mad Men than Malt Shop. And then last night’s episode of Mad Men – I get up early to watch Monday mornings from an iTunes download before work. 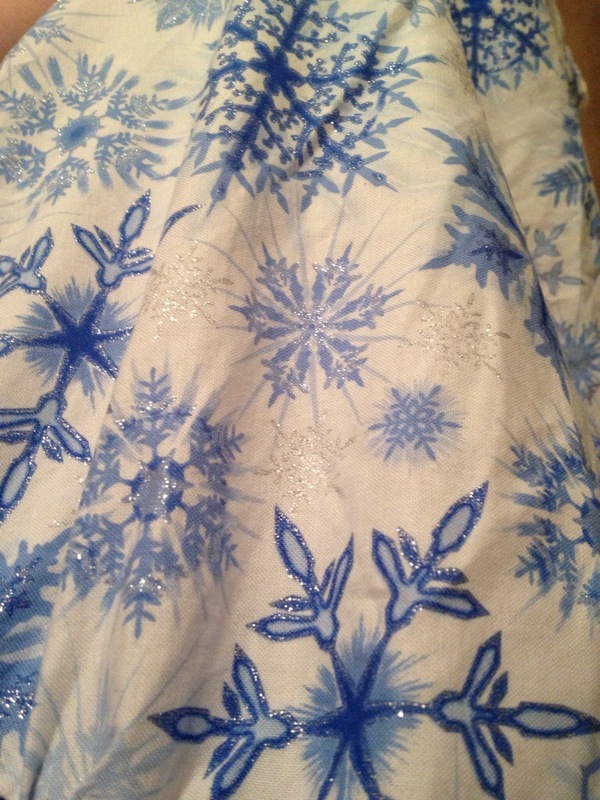 I was so engrossed in it that when I changed bras because my usual wasn’t a good fit for this top, I forgot to go back and check if the snowflakes were seeable through the fabric. I’m saying that they blend in with the floral pattern, but I may be deluding myself. 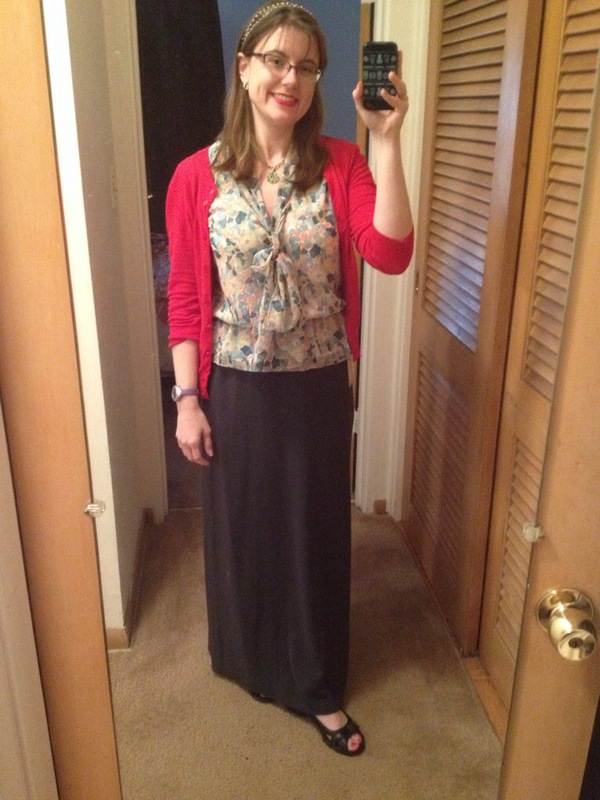 I don’t often wear maxi skirts, but this blouse just screamed for it. 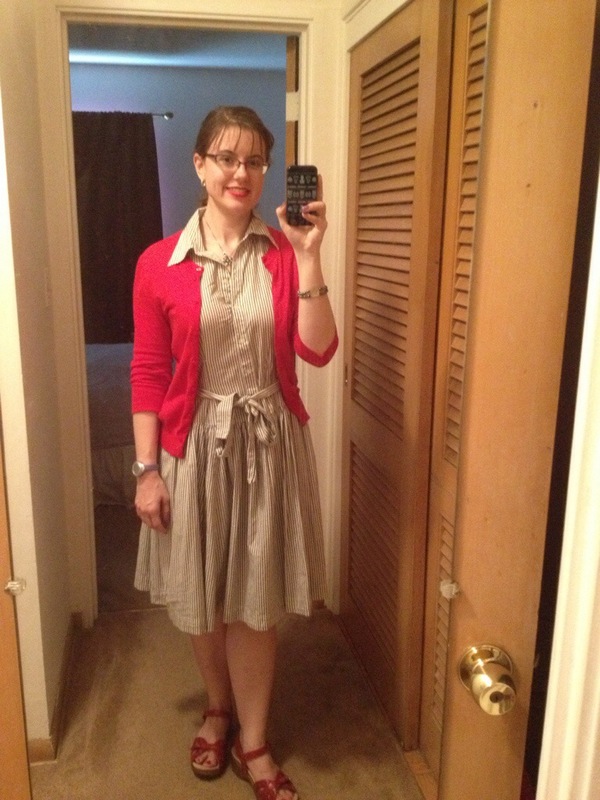 I had pulled it out when my red cardi was on the doorknob and I was surprised by how good the two look together. 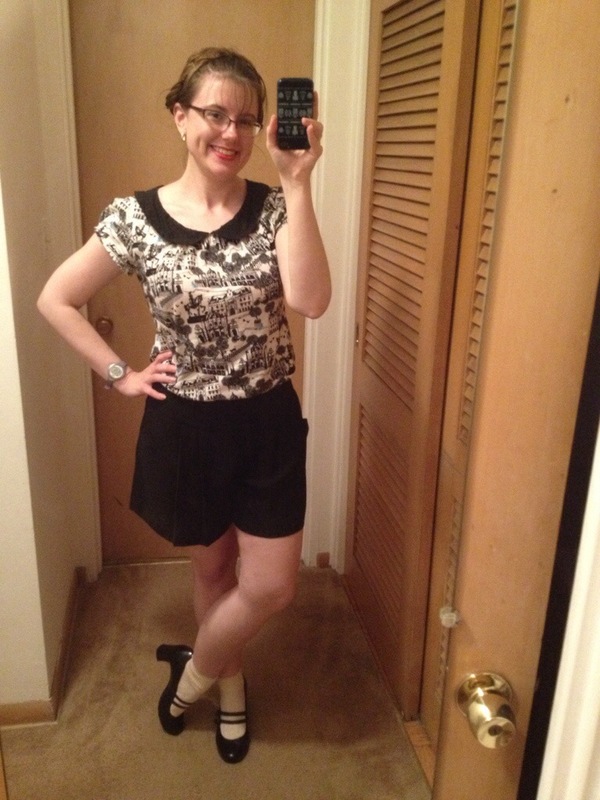 Basically, this outfit came together exactly the way I pictured in my head, yay! My coworker brought this to the last clothes swap and just handed it straight to me instead of adding it to the dress pile. Thanks, J! This was Sunday at work, the day before snow, when it was still moderately warmish outside. Half Megan Draper, for the Mad Men premiere, half knocked up at Coachella. 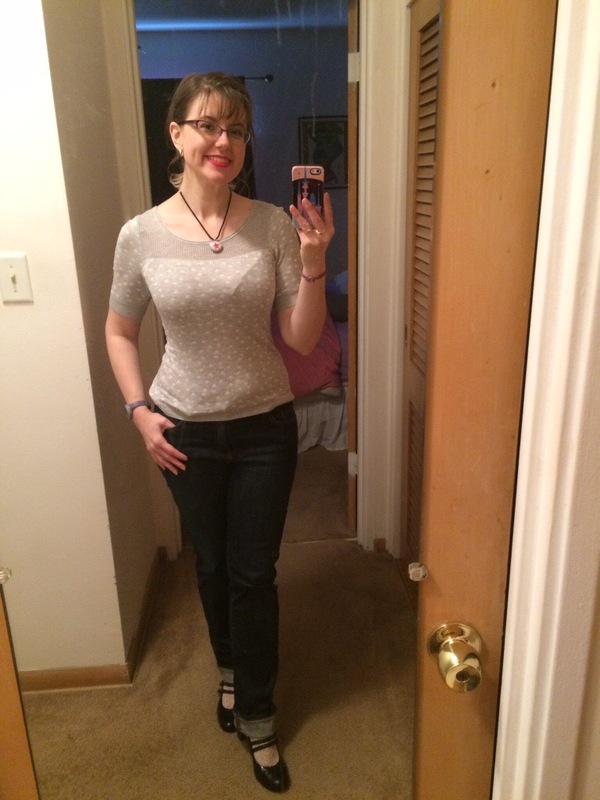 A nearly full anthropologie outfit! 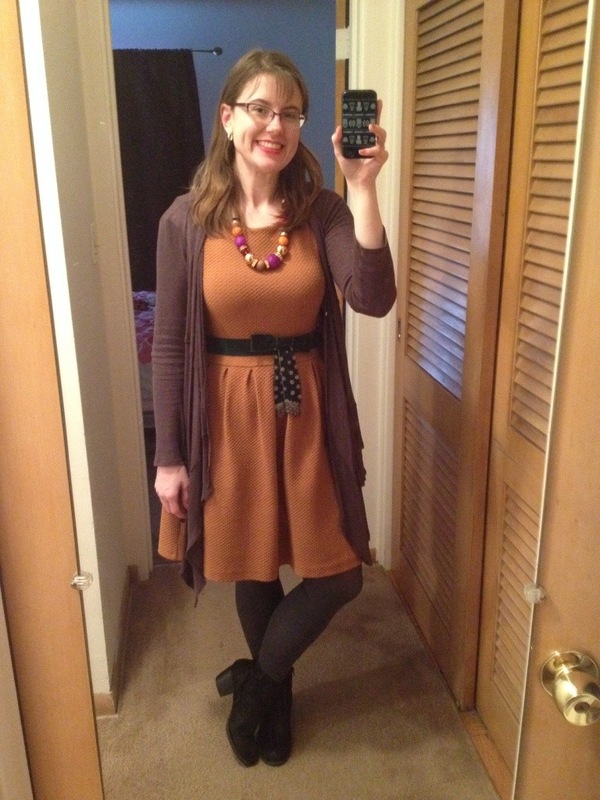 I’ve been meaning to try this dress paired with grey. 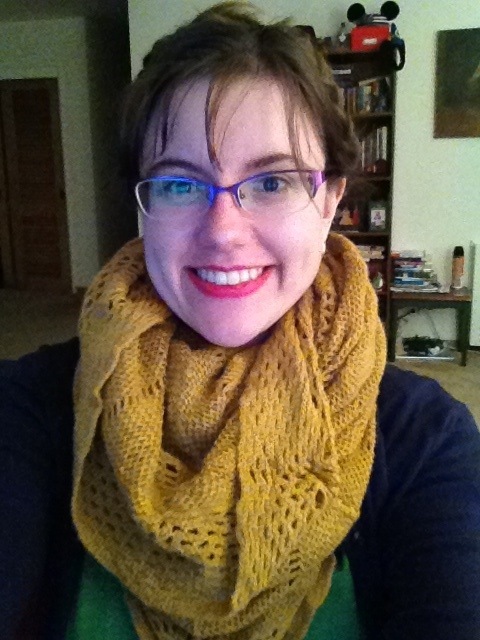 My Airport Greetings cardigan from Modcloth was a better color with the tights, but this had the drape I wanted, so it won out. My dear and darling friend bailed on Wednesday Morning Workout AGAIN. And then she bailed on the lunchtime walk. I was ready, man. 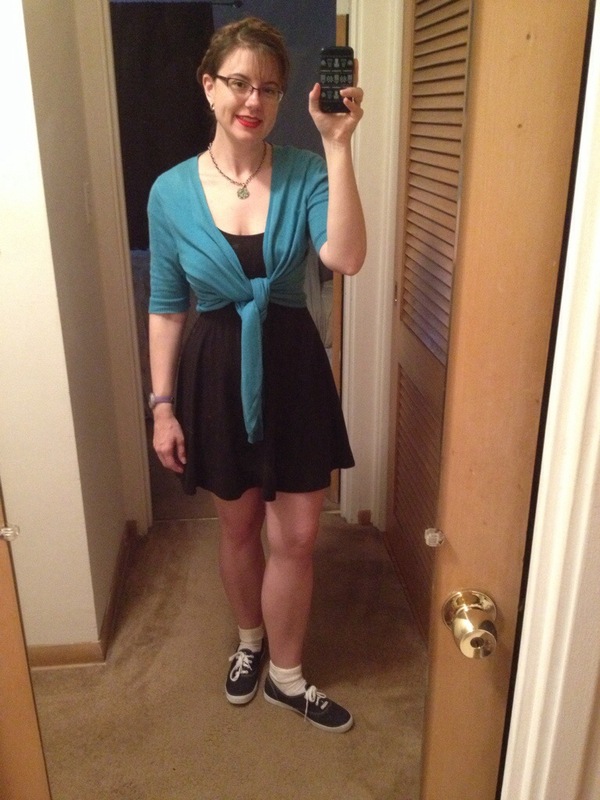 I managed to put something together that would be easy to modify for dancing, and all I needed extra was converse. Oh, well. 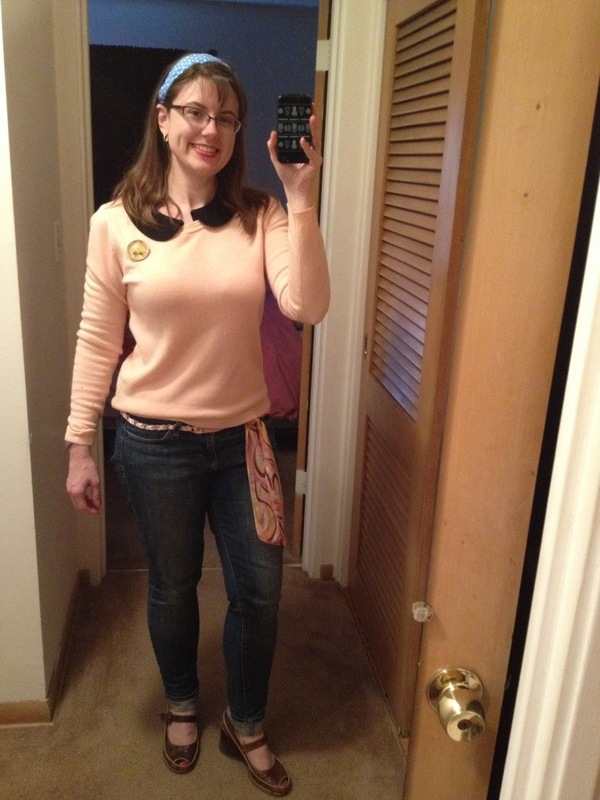 I think it came out super cute, and I love this belt. It’s always bigger than I remember, so it does best in lowrise belt loops. 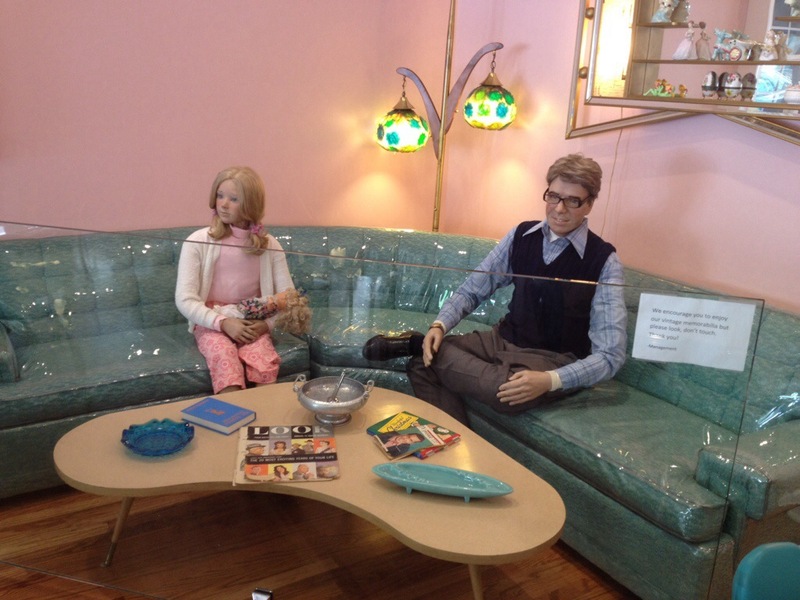 Also, my other coworker and I took a lunchtime walk instead – right to the consignment shop. 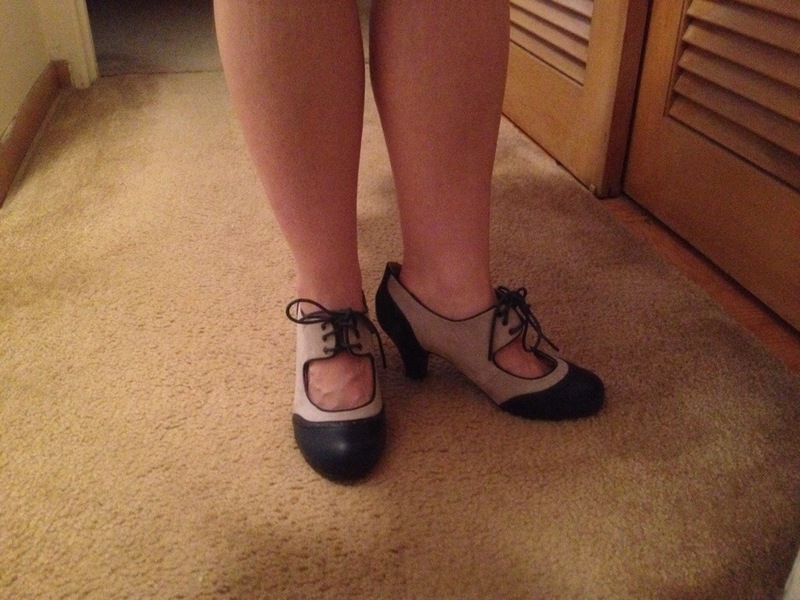 She finally bought the most amazing Fluevog shoes and I put some sandals on hold. 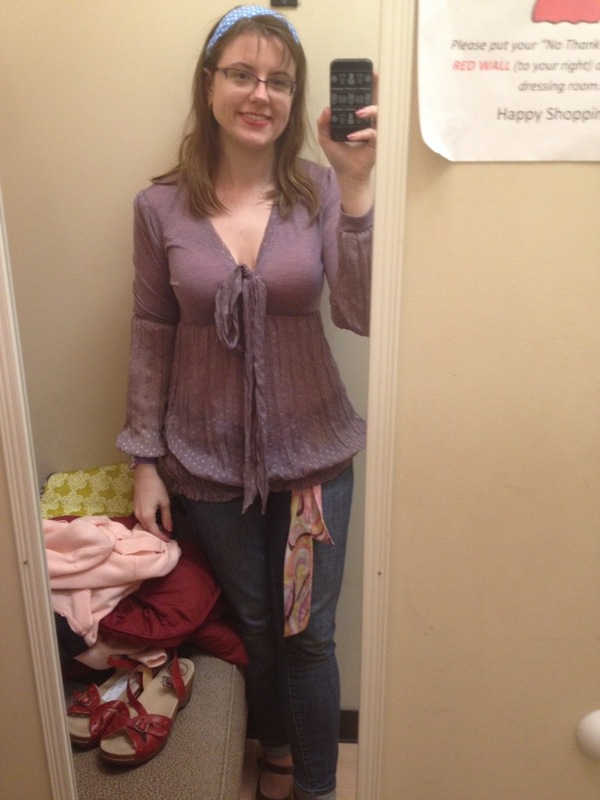 And then went back to try things on after work, because work sucked today and I needed some retail therapy. Thoughts on the top? I think it emphasizes my pear shape too much. I’ve been low-level searching for a lavendar dress to wear to Disney World as Rapunzel, and I thought this would do instead, but I ended up not liking it very much. But check the red shoes! 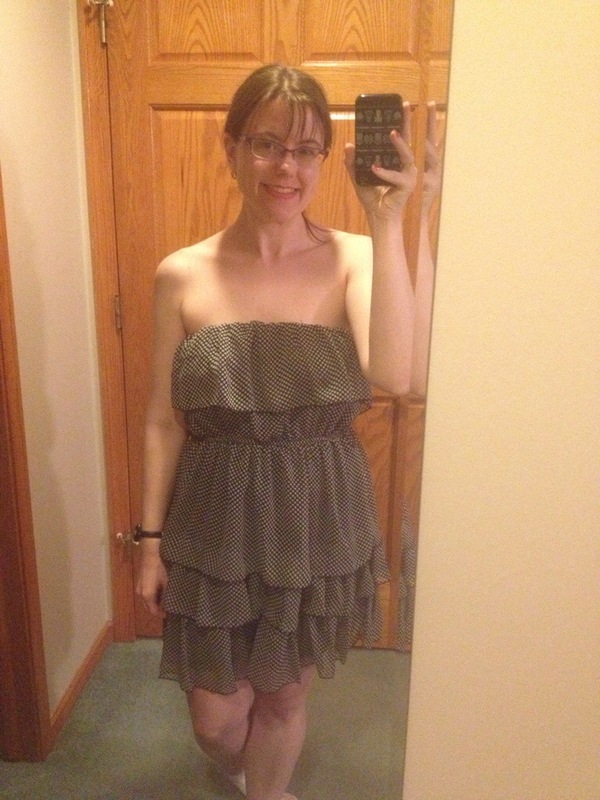 Ahhhhhhhh, I love this dress! Esley brand. 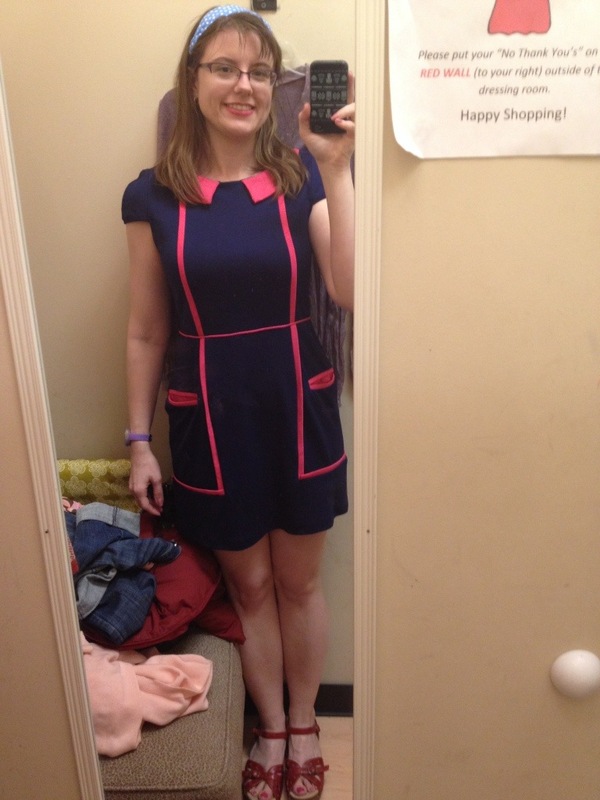 They just got it in, so it was $25, and I love the colors and I adore the piping. And the collar! 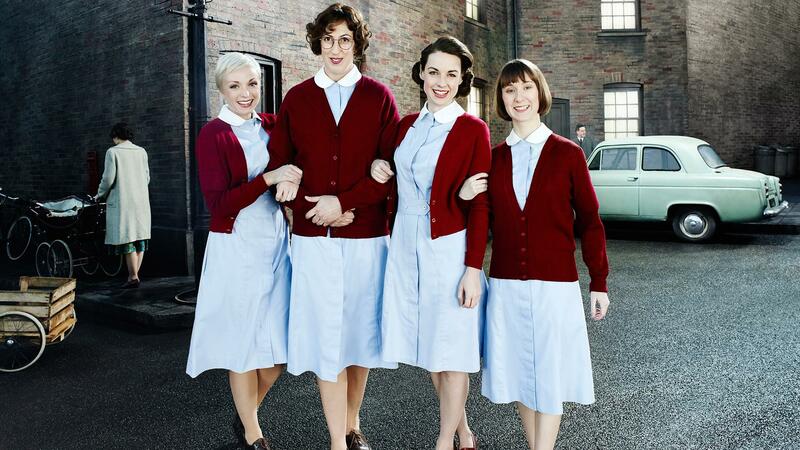 So adorably mod. I put it back, but if it’s still there in a few weeks, I think I want it. Maybe not. The pockets are placed at exactly the right place to add volume, which is annoying. Thoughts? I did buy the red sandals, though. I’ve been wanting bright colored sandals for a few seasons now, and red is totally my color.